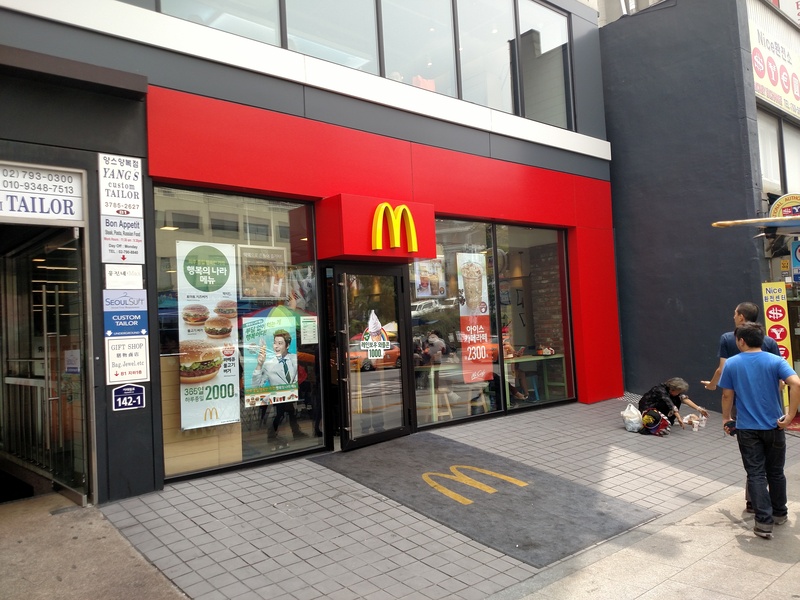 Alright, I finally found that elusive McDonald’s in Itaewon! 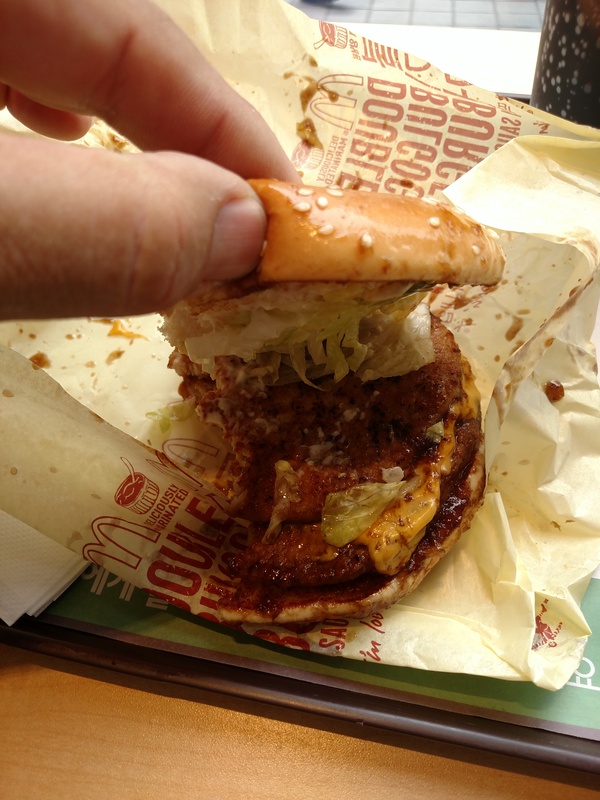 I got a Double Bulgogi Burger meal for just ￦5500 (about $5) and it was delicious! Not only that, my Coke came in a hard plastic (not-disposable) glass! 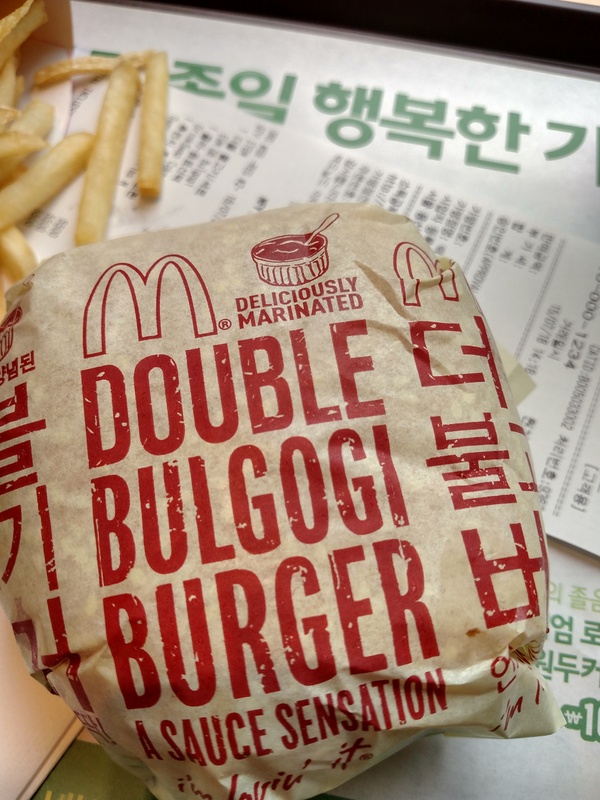 I know that this isn’t “real” Korean food, but it is unique to Korean McDonald’s and “bulgogi” is a Korean-seasoned beef (and…I like McDonald’s).